Increase Your Traffice By 50% to 80%. Reasons why you need SEO. Why you should read this report? You will learn how you can increase your company’s revenue in 3 to 6 months from now that would last for years. The strategy is the cheapest form of leads generation system compared to traditional online advertising such as Pay Per Click (PPC) or Social Media Advertising. You are a company and you have some marketing budget to spend, but you are not sure of the best ways to use these funds. You own an existing website and would like to see it bring in more leads and prospects for your business. You are looking for ways to beat your competitors and gaining more market share. This report is about how business owners or marketing/sales manager can increase the business revenue of the company on auto pilot. The system referred to is about Search Engine Optimization. 9++ Facts & Figures why you should implement Search Engine Optimization (SEO)? You are neglecting an already existing powerful marketing mechanism, sitting there waiting to be leveraged on. This powerful mechanism is the Search Engine of the internet, such as Google or Bing. You are not realizing the full potential of your website hence losing potential sales every year. Knowing this, are your products and services found on Google or Bing prominently (such as on the first page) when your prospects search for them? According to imFORZA, 93% of online experiences begin with a search engine. This is a powerful statistic to have. That means if you are not found on the search engine, all of your prospects and leads goes to your competitors. According to MarketDive (2016), 82% of businesses around the world see SEO as becoming more effective as a lead generation strategy, with 42% of this group experiencing increasing effectiveness. The quality of prospects acquired from search engine has been proven to be higher. This is because the prospects that are matched with your products or services are actively looking for the products or services you sell when they input their search INTENT into the search box of the search engine. According to imFORZA, SEO leads have a 14.6% close rate, while outbound leads (such as direct mail or print advertising) have a 1.7% close rate. This means that the quality of visitors that you pull to your website is higher which gives you a higher opportunity to close the sale as compared to other marketing channels. According to HubSpot (2017), 61% of businesses say their priority for inbound marketing strategy is improving SEO and growing their organic ranking. Inbound marketing is defined is about attracting prospects to your business rather than going out to find those prospects – also known as Pull-Marketing. Examples of some traditional Inbound Marketing approaches are email lists, newspaper or magazine advertising, cold-calling, billboard advertisements, and direct mail. The challenges of such approaches are high cost and require continuous effort. So what is your inbound marketing strategy? Do you still rely on traditional Inbound Marketing approaches above? Or are you also focusing on SEO as undoubtedly, most of your competitors already did. According to Search Engine Watch, (2016), searches for “near me” has increased by at least double in the last 1 year. Where to buy plastic chairs near me? Knowing this, is your website optimized for such terms on the search engine? According to (Think with Google), 80 percent of Google search interest in “near me” came from mobile since 2014. Imagine that. 76% of these people will visit the business within a day and up to 28% of these will result in a transaction. So if your competitors pop up on the organic search ranking before your website does, who do you think will have the first opportunity to close the business first? And you wonder why your sales revenue declining. According to (Google/Ipsos MediaCT/Purchased), 4 in 5 consumers use search engines to find local information. 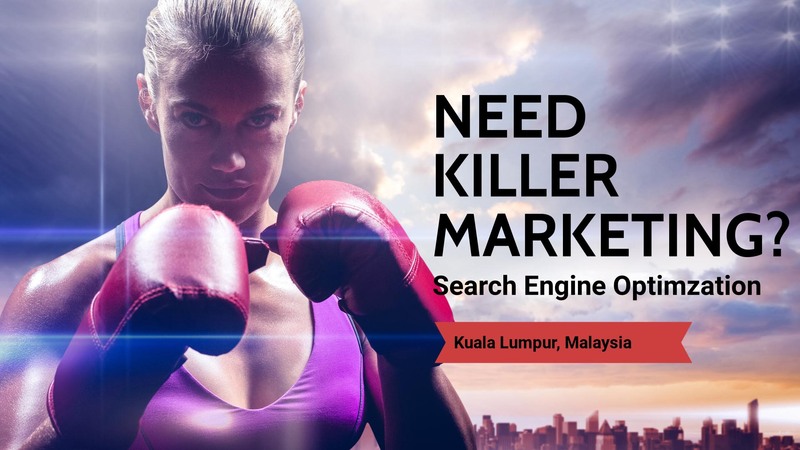 Your company is missing out big potential revenue to your competitors if you are not found easily on the search engine. According to Think with Google, 39% of transactions were influenced by a relevant search and 79% of people took a relevant action on their phone prior to making a purchase. Consumers are getting sophisticated which comes with the convenience of searching for information on their smart phones. According to Web Strategies, businesses are expected to allocate up to 41% of their marketing budget annually to online marketing. So how much have you allocated to boost your online presence? Are you losing out to your competitors? The sad fact is that SEO is not that complicated to implement. One of the main reasons why businesses have not embraced SEO is because they do not understand them. By going through this report, you will have a better general understanding of SEO and how you can implement it. According to imFORZA, 70% of the links search users click on is organic results. Organic results is the non-paid listing on the Search Engine Results Page (SERP), usually found below the Pay Per Click ads and Local 3-Packs section. Up to 70-80% of users ignore the paid ads, focusing on the organic results. But you are already ranked on Google, but on the 2nd or 3rd Guess what? 75% of users never scroll past the first page of search results. So chances of you getting any quality leads are very low while your competitors on the first page have snagged up most of the quality leads and prospects. According to Search Engine Journal, Inbound leads, such as SEO, cost 61% less than outbound leads, such as direct mail or cold calling. Furthermore, a well executed SEO campaign can keep your website ranking for years, benefiting from the decreasing marketing cost thus increasing the margins for your business. Think of SEO like hiring a full time, well training marketing executive that is working 24 hours a day, selling your products or services exactly as trained and never taking any sick leave. Extrapolate this into a few years and suddenly, the cost of doing SEO is miniscule in comparison. Is your website mobile friendly? Time for a website revamp to boost your business! According to StatCounter, 51.3% of internet users worldwide operate mobile and tablet devices, while 48.7% use desktops. We have seen this to be true for all of our SEO clients. Google have implemented a Mobile-first indexing policy. This means that the mobile version of your website becomes the starting point for what Google includes in their index, and a lack of a mobile-friendly experience could impact negatively on the rankings of that site (MOZ). And according to (Think with Google), 30% of all mobile searches are related to location. So keywords such as these will benefit tremendously. The mobile version of your website will be used as the primary version to determine the ranking of your website. So if your website is outdated and not mobile responsive, chances are your website will not fare better than your competitors who have decent SEO and is mobile responsive. We have presented our case with strong facts and figures so that you don’t have to take our word for it. SEO is important for your website if you want to grow your revenue and maximize your marketing budget. Drop us a line if you have any question regarding this article.